The Birth of a Nation. Directed by Nate Parker. Written by Nate Parker and Jean McGianni Celestin. Release Date: October 7, 2016. Rarely have I walked into a movie with so much external context bleeding through the theater walls. 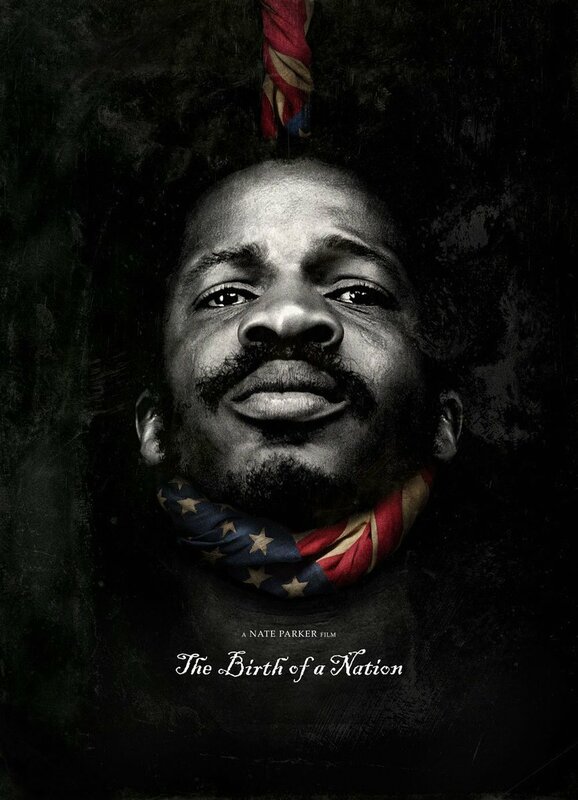 Almost two weeks into The Birth of a Nation‘s run, and the film is more successful as think piece fodder than as a commercial enterprise, making it almost impossible to evaluate on its own merits. How does it relate to the controversial and complicated historical record of Nat Turner’s rebellion? Where does it fit in the new filmography of slavery? Why aren’t more people seeing it (I was alone in my 7pm Thursday night show) and, if they stay away, will the “white savior” remain Hollywood’s preferred slavery narrative? Finally, should we take the troubled personal histories of Nate Parker and Jean McGinanni Celestin into account when evaluating this film? I received a Bachelor’s Degree in English (double-majoring with History) in 2000, and postmodernism ruled the late 90’s halls of the University of Toronto at Mississauga “temporary building.” My professors constantly reminded me that pieces of art have their own historical lives, often divorced from the circumstances or intentions of their creators. This idea has been hugely influential on my own work. However, most took this idea a step further by asking students to completely ignore an author’s biography when evaluating a text. My history training taught me any context is valuable, so I never made this final leap. Nevertheless, I tried to do precisely that when viewing The Birth of a Nation, but ultimately failed. I couldn’t forget Parker’s past because he was constantly staring back at me as the film’s star. What’s more, by adopting the title of one of the single most artistically and historically influential film of all time, Parker told me to view his work a certain way. Before I bought my ticket, he’d implicitly declared his film seminal—correcting the historical wrongs of its predecessor, matching its artistic achievement, and ushering in a new era of films about American history. This set a high bar, and The Birth of a Nation does not reach nor pass it. So, how good is it? Strangely, The Birth of a Nation left me mostly unaffected. It’s a good movie for what it is, but it didn’t foster the kind of emotional response or inspiration Parker clearly intended. In other words—to address one of the elephants in the theater—it’s no 12 Years a Slave. There are flashes of genius that hint at a better movie—Turner confronting a white preacher (the excellently slimy Mark Boone Jr.) with liberation gospel, Turner’s surreal murder of his master Samuel (Armie Hammer), Turner and his rebels discussing what they would be doing at 5pm if still enslaved—but mostly it played like a standard Hollywood tragic rebel hero film. There are many historians better qualified than me to evaluate its accuracy (especially here), but I know enough to have gone in expecting something much deeper than what I got. It’s never fair to judge a piece of culture against the ideal version in your head, but I’ve never conceived of Nat Turner’s story as an African American version of Stanley Kubrick’s Spartacus or Mel Gibson’s William Wallace. As in those films, Parker and Celestin’s script presents their hero as an essentially peaceful and rational figure whose violence is entirely reactive. It’s the most generous interpretation of Turner possible, not even hinting at the historical record’s shades of grey. Surely, any audience will sympathize with Turner’s cause, but Parker takes great pains to ensure we never question his solution. Turner’s disgust for slavery, resulting from his touring duties as a preacher, starts him down the path to rebellion, but Parker and Celestin up the ante by giving Turner ample personal motivation. A heinous slavecatcher played by the always excellent Jackie Earle Haley both kills Turner’s father (Dwight Henry) and rapes his wife (Aja Naomi King). Samuel begins the film a benevolent slaveholder but gives in to alcoholism and prostitutes the wife of one of Turner’s friends for personal gain. When Turner understandably turns against these men and challenges a pro-slavery white preacher, Samuel has Turner whipped. In case we still doubt rebellion is Turner’s only option, the overseer concludes his punishment by whispering he’s going to “ride” Turner—condemning him to a life of constant pain. Like Spartacus and Wallace, what else could he do but rebel? Even once the rebellion begins, the script still frets we might not sympathize enough with Turner. To make sure, it shows him vomiting after killing Samuel (the murder scene is brilliant scene and suffers from this dilution). We also get a pre-rebellion visit to his wife and a post-murder visit to his mother (Aunjanue Ellis). In both scenes, a slight shift in tone and dialogue could create a sense of righteous tragedy—the horrors of slavery having spilled over and erupted in violence that would ultimately claim more black lives than white ones—but instead these interactions play into the film’s two-dimensional hero narrative, with each woman serving to motivate our hero by blessing his actions. The rebellion’s finale is equally rote, with Turner’s men squaring off against local slaveholders and federal troops in a fictional battle in Jerusalem, Virginia. Like Spartacus against Crassus and Wallace against Edward I, this plays as a brave but ultimately futile conflict, in which the corrupt and oppressive system eventually overpowers our pure but doomed hero. And like both men, Turner ends the film in a dramatic execution by the state, laying the groundwork for future resistance, made explicit by a quick closing shot of black Union soldiers charging into battle. So, ultimately, this is not the Nat Turner movie I wanted. One of the most interesting things about Turner is the way his story belies easy answers. His status as a freedom fighter against an evil system is unquestionable, but his motivations and actions are open to scrutiny and The Birth of a Nation seems to actively avoid this complexity. Nevertheless, we needed a good film about slave resistance and I’m happy we have one. Indeed, given Hollywood’s traditional treatment of slavery, maybe we had to have an idealized rebellion narrative like this before complicating the story. There is a real and valuable longstanding memory of Turner as a legendary figure: a Christian leader righteously combating the evils of slavery. That’s certainly not a bad subject for a film and this is nothing if not an inspirational tale told competently. I may have wanted something else, but we don’t have a lot of films like this one, so maybe I shouldn’t take it for granted. Another great movie that still needs to be made is one about everyday resistance. There’s a lot of legitimate criticism out there of the way The Birth of a Nation sidelines black women. A good movie about the slave community could solve this problem and provide a necessary counterpoint to the bleakness of 12 Years of Slave. I’ve been pretty critical of Parker here, but another good cinematic trick he uses is the way he stages Turner’s first visit to another plantation. The setting for his sermon looks almost identical to the one on Turner’s farm, except the audience is beaten down and terrified. It’s the inverse of what we’ve already seen and sends a powerful message about how variable the slave experience could be depending on the goodwill of the master or lack thereof. The much discussed force-feeding scene is obviously gruesome but also has an interesting subtext. Turner has long been a hero to more militant civil rights advocates. Having a scene in which two slaves attempt a hunger strike (a cornerstone of Gandhi’s—and by extension, Martin Luther King’s—non-violent approach) and fail argues for Turner’s eventual turn to violence. Does it mention slavery? Uh, yeah. In your comments about hunger strikes, don’t forget Alice Paul, who predates Gandhi’s efforts.